Due to its abundance of business and investment opportunities, many expats move to Bahrain every day. The local, as well as the expat community in the kingdom, are willing to welcome new comers and to tell them all about living in Bahrain. Almost all these expats find living in Bahrain a wonderful experience and many of which choose to stay for years and years and now call the kingdom of Bahrain their home. So if you are a new comer to the kingdom or relocating there soon, we are going to help you learn some of the important facts about living in Bahrain. Bahrain has been welcoming expats for decades. Expatriates are an integral part of Bahrain as the expat population outnumbers the locals. The population of Bahrain is a little more than 1.3 million, which makes the quaint kingdom the fourth most densely populated destination in the world. 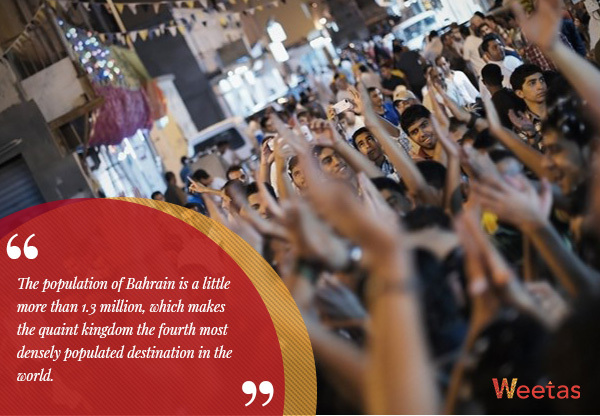 Bahraini citizens make just 48% of this population, with the rest of the population being expats from around the world. Moreover, expats account for 70% of the workforce in the cosmopolitan kingdom. As a rule, Bahraini people tend to dress elegantly, either in their traditional clothes or in other attire. 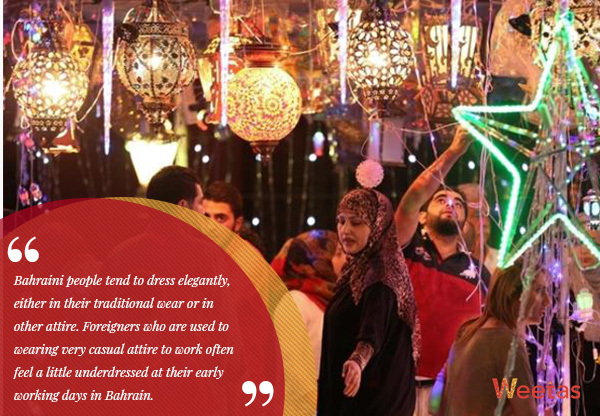 Foreigners who are used to wearing very casual attire to work often feel a little underdressed at their early working days in Bahrain. Even though Bahrain is a liberal state, it is still an Islamic state with inherent Arabic traditions, which means that women are expected to dress somehow modestly in public. That does not mean that they need to cover their hair or anything like that, but in work places, they are expected to cover their shoulders and knees. When visiting a Bahraini home, remember that most locals leave their outdoor footwear at the door. If you find that your host lives by such rule it is considered polite to follow suit. Keep in mind that Bahraini’s are very generous and welcoming by nature and that when you are offered tea or coffee at someone’s home, it is considered a little rude to refuse. Also, remember that a man may only shake a woman’s hand if she offers it. 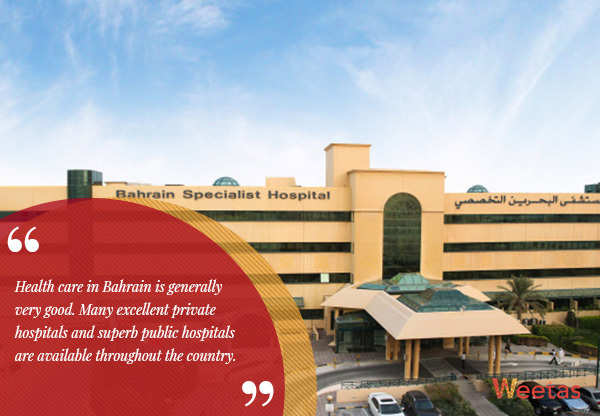 Health care in Bahrain is generally very good. Many excellent private hospitals and superb public hospitals are available throughout the country. However, in an emergency, it is highly recommended to go to the country’s top government hospital, Salmaniya. In addition to public schools, a wide range of schools dealing with most curriculum can be found in the kingdom. These curricula include British, American, Pakistani, Indian and French. The legal system of the Kingdom combines Islamic law with English common law. 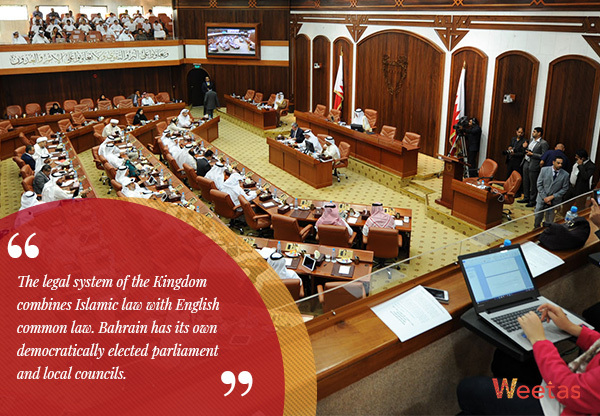 Bahrain has its own democratically elected parliament and local councils. It is considered among the more progressive GCC countries. Women in Bahrain have had the right to vote and participate in elections since 2002. Cars, especially Japanese and Asian cars, are cheaper in Bahrain than Europe or the US, and gas is cheaper as well. 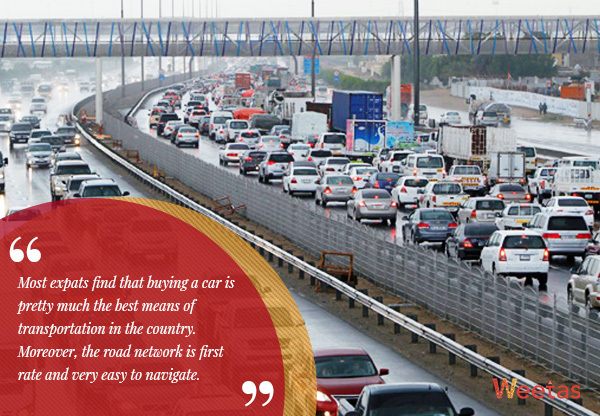 That is why most expats find that buying a car is pretty much the best means of transportation in the country. Moreover, the road network is first rate and very easy to navigate. Many expats have stated that they can often afford larger homes and get more value for their money when comparing homes in Bahrain to homes in their original countries. Housing units are available in a wide variety in the kingdom, a lot of expats prefer furnished homes if they are staying for a short period as they are often luxuriously furnished. And the buildings often feature prime amenities such as swimming pools and fitness gyms. Some though choose to rent a villa, either in a compound or standalone, to get some privacy and the addition of greenery and landscaping. However, renting a property is not your only option. 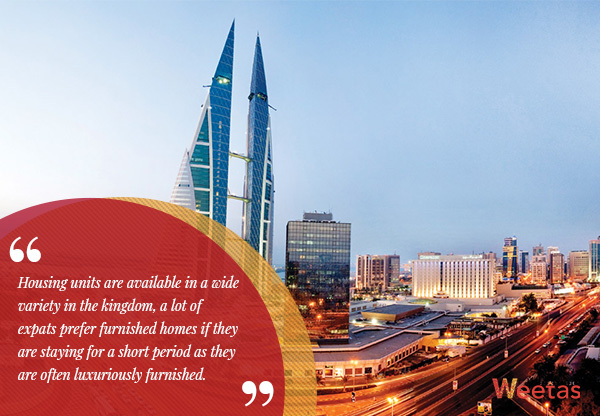 As an expat, you can purchase property in approved freehold areas of Bahrain. Properties built on reclaimed lands, such as properties in Juffair, Seef, Amwaj Islands, Reef Island, Durrat Marina, Durrat Al Bahrain are generally freehold. A few other developments in Bahrain also offer residential freehold properties, such as Riffa Views and Al Areen residential development. Numerous expats prefer buying a property in Bahrain after they stay there for a while. Mainly because such a property does not just provide them with a great place to live, but also provides them with a great investment that adds to their retirement fund.